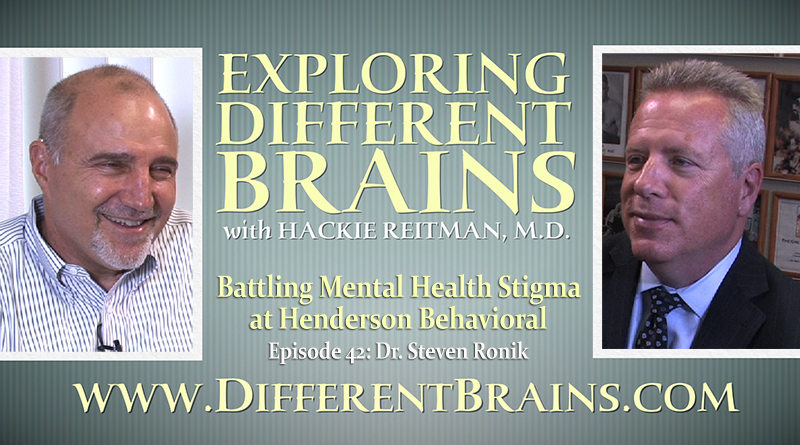 (24 mins) In this first of a two part interview, Hackie Reitman, M.D. speaks with Dr. Michael Alessandri, the Executive Director of the University of Miami-Nova Southeastern University Center for Autism and Related Disabilities (UM-NSU CARD), and chair of the upcoming Autism Innovations & Global Impact Conference hosted by Els for Autism. 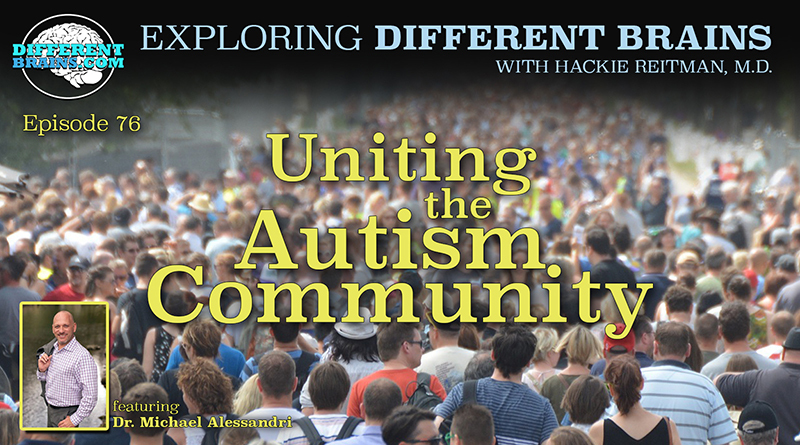 Dr. Alessandri discusses the life-changing interaction that made him devote himself to autism and neurodiversity, the importance of giving support to individuals and families, and the challenges in bringing together organizations for the good of the ASD community. HACKIE REITMAN, M.D. (HR): Hi this is Dr. Hackie Reitman, welcome to another episode of Exploring Different Brains. Today we have one of the grand daddy’s of Autism down here in Florida, Dr. Michael Alessandri who has been a professor down at the University of Miami for 20 years in psychology. He’s also the head of CARD, the center for autism and related disabilities at University of Miami and Nova Southeastern University, and he does about a gazillion other things so welcome Michael, thanks for being here. MICHAEL ALESSANDRI, PH.D. (MA): Thank you, I’m happy to be here. I’m happy to be called a granddaddy, that’s a first, it tells me I’m moving in the right direction. HR: You’re a young grand daddy. You’re one of the super stars. HR: We were talking before so I want to share with our Different Brains audience how you got into this. You’ve been doing it for so many years now. MA: Yeah, and it’s been a great journey. I’m one of the lucky ones. In 1981 when I graduated high school, my parents put a lot of pressure on me to work because I hadn’t worked in high school. I was one of those studious book smart kind of kids. One summer day I went with a friend of mine to a summer camp for kids with disabilities and they asked me to spend the day with just one boy because they knew I wasn’t going to be there the whole summer. At the end of that day, after spending one day with this boy Marlon who was 10 years old, African American, with autism; it just changed my life. I went home that night literally and told my parents this is what I’m going to do for the rest of my life. I didn’t know if I were going to be a teacher or a doctor or what, but I knew that people with Autism would be in my life in some way. And that was 36 years ago. HR: Now why do you think that was? I got chills when you were saying that. But why do you think that is? MA: I still get chills when I tell that story because it was like a lightning bolt; it was just one of those magic moments where you discover your path. I think what happened with me and Marlon was the things that he could do as well as the things that he couldn’t do really intrigued me. I was very intrigued by the way he approached social interaction with me and communication. He wasn’t talking, completely nonverbal but yet he had this capacity to kind of connect with me emotionally and socially and I felt that really deeply even with one day of an interaction with him. He was holding my hand, and stood very close to me just after an hour or so. We just developed this kind of non-spoken connection. And just the way he solved problems and approached different work tasks they would give him, the way he navigated around the classroom and through the campus it just intrigued me. Because on one hand you have this boy who is non verbal and clearly intellectually disabled in many ways in terms of the way he was processing information, yet he had this remarkable capacity to connect on a deep nonverbal level and also solve these ridiculously complex tasks that were in front of him as well like puzzles and other kinds of activities I’d present him with. So just the discrepancy between what he could do easily and what he couldn’t do that should have been easy that was really complicated for him just really was mind boggling to me. HR: Are you still in touch with Marlon? MA: No I’m not but you know what’s interesting is I gave a talk a few years ago in New York in the city and I told this story because I tell it often, and someone came up to me after and said I still work at that facility where you did that summer training and Marlon was still there and he knew exactly who I was talking about. So I had not reconnected but it occurs to me that I should go back and follow up on that connection. HR: Yeah that would be a very interesting, even a case study. MA: Well he changed my life, and in some ways changed the lives of so many other people just through the work that we’ve been able to do over the years. It’s 10s of thousands of people like Marlon that I have interacted with over the years, so it’s pretty impressive he had that influence. HR: Well what you’ve done with CARD and everything else has been an inspiration to people like me because I’m still amazed that so many of these parents just feel like the lone ranger and they’re just like what do I do where do I turn, who do I go to and you provide that. MA: We try to. I mean CARD still for many people is a great mystery. Often people come up to me and say I still don’t know what CARD does and my answer is always: well that’s because we do everything essentially. We take care of the families who need support when they have a child who was just diagnosed and we follow them through out their lives providing whatever support and assistance they need at any point in their life cycle. So from parent training to school based consultations to public education and awareness campaigns to case management from the time of diagnosis all the way through the entire life span of the individual. So we kind of do so many unique and individual things for families that it’s hard to sometimes in the elevator speech tell people exactly what CARD because it’s all things to so many different people. HR: And now you’re chairing the big global impact conference they’re having at the Ells foundation. Tell our audience about that, what that is and what’s going to be going on there. MA: That’s great, I’m really excited about this event, as I think people have started to hear about Ernie Ells, very famous professional golfer and his wife have been working tirelessly over the last 5, 6 years to create this amazing institution, educational institution, outreach, global impact institution in Jupiter, but with tentacles into South Africa and also into Canada and other places around the world. And they are now launching their very first annually conference and I’m the proud chair person of the event and what we though we would do with this conference is try to high light what are the core principles of the Ells center and the Ells Foundation and that is it’s global, it’s intending to have an impact on society and people with disabilities and we are hopeful that it will represent the innovative educational technologies that are available in the school as well. So know global, impactful, innovative to be about science to bring the best of the best, the state of the art researchers and clinicians and policy people to South Florida and we’ve done that and we’ve also called on quite a few of our friends. So this was one of those, if I’m going to chair it and this is going to be the first one, not only do I want the best but I want the best to also be the nicest people in the field and we’ve got them all and it’s really going to be special. HR: And that’s going to be April 28th and 29th up in Jupiter. MA: It’s going to be a really remarkable event, it’s a two day event along with a VIP dinner where people can sit and casually chat with these researchers, really the thought leaders in the field of autism. People like Ami Clin and Cathy Lord and Roberto Tuchman, Richard Glinker, and so many amazing people who have done this remarkable work either clinically or scientifically in the autism world for so many years. I hope people come and I hope people appreciate how special this is for Florida. HR: Now as one of the leaders in Autism, how do you approach getting everyone to play nicely in the sandbox together? MA: That’s a great question. Well I’m not sure I know the answer to that, I think I have made my mistakes over the years when I was younger. I thought the things that I were doing were more important than what other people were doing so I understand the journey that agencies go on and that professionals go on and it’s so easy to make the mistake in thinking that you’re something different than just part of a bigger puzzle. And I think I’ve learned that lesson really well and I think the Autism community has struggled historically in terms of everyone being on the same page and everyone being on the same path but I think things have gotten considerably better, I think the last decade or so we’ve seen agencies come together, we’ve seen people start to come together collaboratively even some of the large national institutions that work locally now are a little bit more engaged with the local community where as in the past it was very difficult for the local community to benefit from some of the larger national institutions working on initiatives related to Autism. So I think we’re doing better. I think there is always room for growth. At the end of the day, what I’ve learned over the last 20 years since I’ve been here in South Florida is that it’s always got to be about the client. It’s always got to be at the end of the day about the person who is living with Autism or with any disability and the family that surrounds them. If you lose focus on that then you really lost the plot completely. Our role as professionals is to facilitate what the individuals with Autism and related disabilities want for themselves and want for the community in which they live. If we get in the way of that then we haven’t done anyone any good. So we really need to listen more. We do a lot of talking, those of us who are professionals and I think sometimes we need to step back, silence ourselves and really listen. And not just listen to words but listen to actions and movements and behavior. Listen carefully to what the community is telling us that it needs. And by a community I mean people who actually are affected by the conditions that we’re supposedly trying to support in some way. HR: Here at Different Brains, the way what I’m seeing is that there are so many similar things for things that help Alzheimer’s, autism, and strokes, and traumatic brain injury, and schizophrenia and they’re all different but there are areas of commonality. At Different Brains we’re bringing everything under one big tent and trying to highlight all the great work that each silo is doing. How do you see Autism in that spectrum based upon your years of research and clinical and everything you’ve been doing? MA: Well I think at the end of the day people are people and labels don’t necessarily help describe no only who they are but also what they need so I think it’s important that we really just look at the individual and I think the other thing I wanted to say related to this is for years I think the Autism community has been so closed off in some ways from the broader disability community and I think that’s been a huge tactical error, I think the broader disability community has tremendously more strength when they’re operating in sync when they’re operating on really global impactful initiatives that affect all people regardless of the specific disability that they have. So I think Autism is so vast and so varied in itself that I’m not even sure what it is anymore as an entity as a diagnostic structure. I think in some ways people who have that label are very similar to people with anxiety disorders, ADHD, mood disorders, schizophrenia, you name any label that’s out there; there’s similarities that they share. I remember reading a paper years ago about the big three. Schizophrenia, bipolar disorder, and autism and just the interconnections of every other condition that existed. I think that’s really important conceptualization that we apply these labels to characteristics that kind of are joined together in some kind of what seems to be a meaningful way. But at the end of the day we’re just human beings who have different traits and some of those traits are functional and some of those traits at certain times are not adaptive and functional. It just helps to look at people as people with particular characteristics, some that need support and some that are relative assets. So I’m not sure that I’m answering your question. HR: No you answered it very well. MA: I think it’s just that we get so lost in trying to identify ourselves as being part of a group and part of a movement or part of a category and I think we’ve lost a lot of opportunities to create real meaningful societal change. I love what you’re doing because it’s not about a label. It’s about just appreciating that people are different in terms of their neurological profiles. Skills, assets, deficits, whatever; we’re all unique individuals that have something to offer and also something to gain from interactions with other people and I think until we get to the point to where we just understand we’re all uniquely capable of learning something from someone but also teaching something to someone. We’re just going to continue to lag behind in terms of just bigger policy initiatives that need to happen to make the world a fully inclusive place for all people. MA: Listen as a scientist I guess, I don’t really call myself that, but as an academic certainly I understand the need for labels to just put simply the need for categories and classifications particularly within the systems we work with whether it be insurance or education or healthcare, you need certain systems to enable you to do certain kinds of work. But at the same time you know there are lost opportunities to create stronger interactions among the groups to create change. We continue to lose that, and I don’t know we have figured out the solution yet to get past that. I remember sitting in a session I was doing it was actually something sponsored by the legislators in Florida and we all went to Orlando and there were different panels and different professionals and I remember sitting there and being designated the autism expert. We were talking about broad issues: how Florida could make a more significant change that could support people with all disabilities, this is really the wrong approach, I shouldn’t be here as the Autism expert, this goes beyond Autism and understanding people who are different with specific needs and interests and talents and functional deficits in some ways. We’re missing the point by having an autism expert and a down syndrome expert and an ADHD expert. I don’t even want to be considered an Autism expert, I just want to be considered a person who has had a career who has hopefully helped some people along the way and hopefully has something to contribute beyond the niche area that is attached to me. HR: Tell me how you mold together, how did it come to be that the CARD–Center for Autism Related Disabilities–involves University of Miami and Nova Southeastern University, I knew Marlene Sutella when she was at NOVA. MA: I actually just had a call with her and I’m going to be with her at this event I’m going to tonight. MA: She’s the best and she and I work together for many years. HR: She makes great music. MA: She’s a great musician and a great person. Totally dedicated human being to life and career and the people she serves. But to answer your question, I came to CARD, I was recruited in 1996 to come and participate in the university of Miami’s efforts to build a new center that they just got funding from the state for. So I came in 96. My original plan was to come for 1 year, I was only going to work 80% time and then go back to my tenure track job in California. But after one year it was clear that I needed to stay and that there was work to be done. It was a very tamulputious year, I will confess. Not everyone loved the young know it all doctor from California and New York before that. HR: You had it all going on. MA: I learned to soften my approach to change because sometimes systems don’t move because you want them to, they move because you kind of caress them a little bit and encourage them to move over the course of several years. But I think what happened was we really saw the opportunity to create among all the CARD centers in the state of Florida. But at the time, University of Miami was the only private institution as part of that network; all the other institutions were public. We really though there was an opportunity to join UM and Nova in a stronger union in terms of the South Florida CARD center. UM, Nova, both private institutions, Nova had already been leading the way with the Bodwin school and Maleman Seagle Institute and great people like Sue Cabbot and others who were there long before the CARD centers were started. In fact Sue, among other people was one of the reasons why there is CARD centers in the state of Florida. So we just saw an opportunity to connect to the Universities and make our south Florida program even stronger. In fact it’s probably one of the strongest if not the only strong union between these two private universities and we’re really proud of that. HR: You should be because that may be one of Michael’s greatest accomplishments because, God bless these universities but there is a lot of politics involved. MA: It’s not easy to navigate the politics of any institution but universities are particularly tricky. Even just the systems and procedures and the way business operates. It’s not easy to get sometimes even the easiest thing done but we’ve done really well for a long time and it’s one of the longest standing partnerships I’ve ever known. HR: Speaking for myself it’s been very hard for me to get the gut brain people to talk to the genetics people to talk to the vaccine people to talk to the environmental people because everyone thinks it’s a zero some game and their thing is what causes everything instead of being multifactorial like everything else in life. MA: Well I think it’s like what you said it’s a zero some game. People are very focused on funding to support their particular area of research and their particular interests in studies. 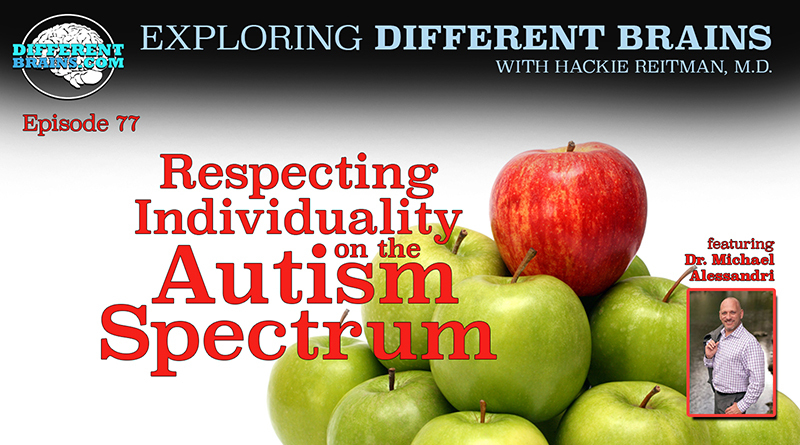 So you don’t get as much interdisciplinary work as you would like in the world of Autism. There have been efforts to overcome that I will say that, I remember many years ago before Autism Speaks there was a group called NAR, National Alliance for Autism Research. I actually chaired their scientific affairs committee. I wasn’t the scientific expert but was the lay person who over saw the committee and I remember several initiatives they pushed for then which were trying to get people from outside the Autism world but had interest in immunology and some of the other things that you mentioned to come into the Autism world and beyond that and start to work with other people across disciplines to answer these big questions that can’t be answered in one discipline alone. Psychology doesn’t have the answer, just looking at the brain neurological functioning is not going to be the answer, looking at the gut alone is not going to be the answer, genetics we know didn’t pan out, for years we were looking for the autism gene and we now know there is no autism gene. There are many genes that are implicated in Autism but not alone, not with out environmental factors. So I think we’ve certainly, at least in the course of my career have moved dramatically from kind of looking for single explanations and kind of looking at multi disciplinary explanations and I still think there is a resistance to certain ideas about certain cause and potentials. I don’t know enough about the biological aspects of the research to speak to that but I think in general we tend to be very arrogant as scientists, as researchers, as professionals, we think our thing is the thing. HR: Well you also, the way we’re set up is grant wise lets say and I was saying this out when I was speaking at the Aspen Institute, you just heard a great talk from one university that showed you the tests and showed how the brains were rewiring in Alzheimer’s patients with a plant based, meditterean style diet. And you’re going to hear later the same findings in an Autism grant study. They’re great studies but exercise, proper diet and nutrition, these kinds of things they help every brain and not only your brain, your heart and everything else so on and so forth. That gets into the commonality that I’m seeing in everything that’s good for your brain is also good for your body, good for your heart, good for your mental status, good for everything. There is this grant; I call it the grant syndrome, where you don’t want to give up your piece of the pie by sharing. MA: Well I think the system the way it’s structured doesn’t lead to the kind of creativity and innovation across disciplinary work that maybe most of us would like, I think it’s a very fixed kind of system and I think people are sometimes reluctant to purpose too much innovative work because it complicates the design, it complicates the feasibility and I think people who are writing grants are very concerned that whatever they submit to an agency for review should be as streamlined as possible so it’s clear the question their asking and the answer they’re going to get or the methods they’re going to use. I think creativity is not generally rewarded in science. MA: Well to the extent that I understand it, I’m not primarily a researcher but it’s been from my observation on the committee that I mentioned to you but also just existing in the scientific world for so long that we have a tendency to do one thing and we have a tendency to do it over and over again in very different ways but we don’t really have a natural tendency to reach beyond our expertise to try to bring in other ideas and freshness to the work that we’re doing. I think the system limits that, I don’t think it’s any mal intent part of researchers I think there are just some real restrictions in the academic world on innovation and creativity and on exploring something, truly exploring something that you don’t have an idea about, about what it will mean or if it will work or not. Those days are really behind us I think. We kind of have to hope for things that people just discover naturally, that we then can pursue with some kind of confidence. HR: The people who want to find out more about the Ells for Autism and this great Autism Innovations and Global Impact Conference, they can go to the website, and how else can they find out more about you and what you’re doing and the Ells Foundation. MA: Well anyone is free to contact me at umcard.org that’s the easiest way to get ahold of me. Find my picture and click on my face and you’ll get an email to me very effectively and efficiently. And for the Ells Foundation is anyone just wants to Google global impact and autism innovations that would be fantastic and you’d be able to find it there. HR: Michael thank you so much for being here at Different Brains. We’re going to continue this conversation next time and thank you so much and keep up the great work you’re doing at the CARD, the center of autism related disabilities at the University of Miami and Nova Southeastern, and also the upcoming Autism Innovations and Global Impact Conference hosted by the Ells for Autism, thank you so much. MA: Thanks for having me. 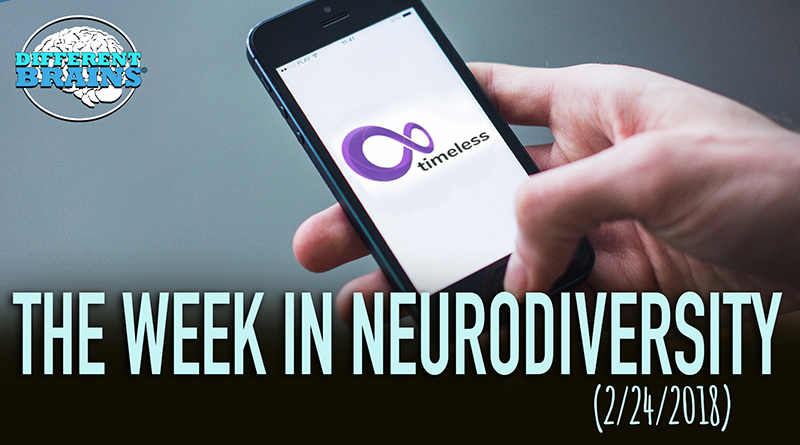 (3 min 24 sec) In this episode, a student with autism leads a yoga class of over 1,000 peers, a 14-yr-old girl creates an app for those with Alzheimer’s, and more!